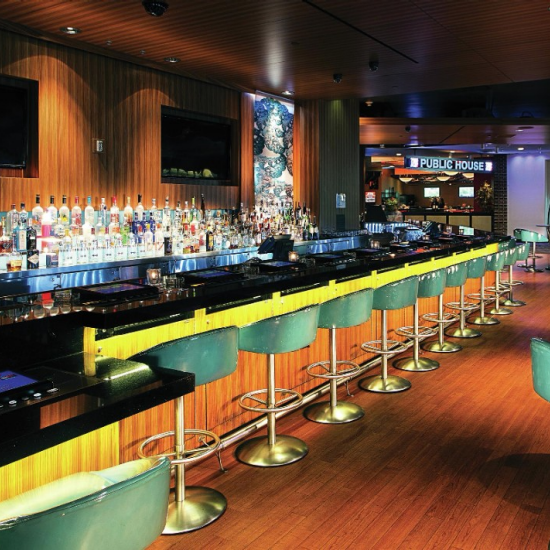 The comfortable furniture and high energy make Flight bar a great place to party. Modern Cocktails, Specialty Beer, and creative beverage presentations make this experience memorable. Walk across the walkway and enter the hotel. Walk down the stairs and Flight will be directly across the casino to the left of HyperX Esports Arena. Enter the hotel and walk into the casino. Walk to the left pass the M life desk towards HyperX Esports Arena and Flight will be on the left hand side.